The Big Data Age is definitely here and it’s already changed the way we handle information in ways we never predicted. One thing we can predict for certain is that it’ll continue to change our lives in ways we didn’t predict. More ownership and controlThere’ll be more governance and stewardship brought into play around the master and reference data. 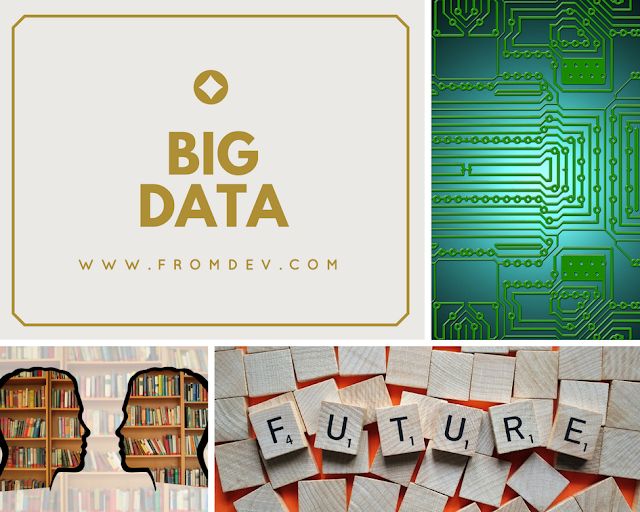 This is becoming the most important area of focus as the sheer volume of data increases and our insights into its meanings become more complex. Visualisation is vital if we’re to understand the Four Vs of Big Data – Volume, Variety, Velocity, and Veracity. In order to improve the ways we use visualization, we also need to improve our analytics, and companies like Bitplane who specialise in 3D image analysis software may expand their operations to help move us forward. Data fabrics will become the main – if not the only – way to deliver data as they’ll provide a single portal to accurate data, or the “truth”. At the moment we have only so-called spreadmarts, collections of different databases, to rely on and this isn’t good enough. It's possible that we’ll be using sound, multiple screens, or maybe even biofeedback to deliver the information to people. The human brain and mind have lots of ways to interpret and compare information so by delivering more types of feed, we could make analysis more efficient and maybe find whole new realms of knowledge. To get good quality information to the right decision makers, or to make their own decisions, business partners must be able to use “clean” and governed data. It’ll become standard to use visualization toolsets to deliver this information. We need to move to a single source of correct information (or truth) and get rid of the tendency to share information from less-than-trustworthy sources. Moore’s Law seems to be holding up well – our technology keeps growing and improving at an ever-increasing rate and so we’ll be more able to analyze unthinkably vast quantities of information in ways we can’t even dream of right now. Given that the information will be governed and “true”, people, business organizations, and governments will be more data-driven, rather than relying on business instinct. Data will become a whole new global currency – we can already see how the larger companies are starting to monetize it. Toolsets will become the norm for big corporations to uncover and govern data, as long as it’s all within a data fabric. They’ll use tools to manage metadata and to automatically classify assets.